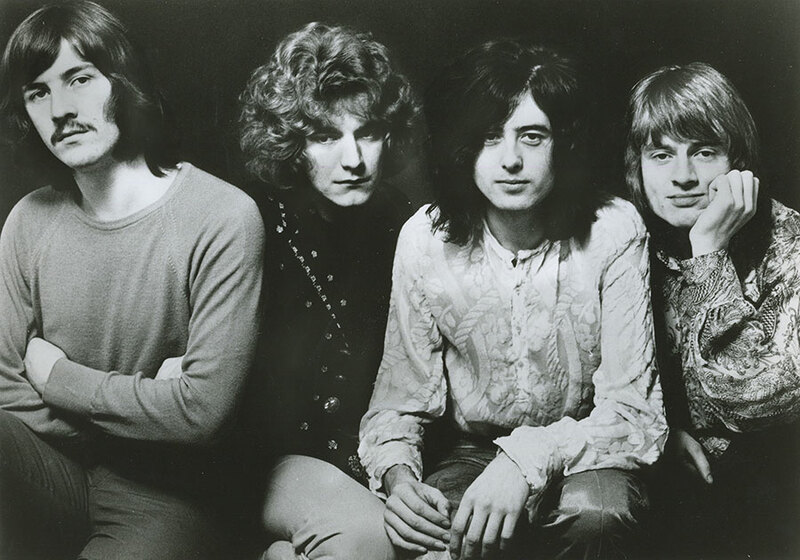 Led Zeppelin took a calculated risk in leaving London to come to America in 1968. The band had no album out yet, response from the press in England was mild, and three of the group had never been to America before and didn’t know what to expect. But manager Peter Grant’s strategy was simple—it was still worth the risk to go out and play, to see if they could create some excitement that might snowball into an avalanche. Grant had five years of experience in the United States with bands like the Yardbirds and the Animals. He felt he knew which American cities would maximize Zeppelin’s exposure. He saw an opportunity when the Jeff Beck Group, managed out of the same office, cancelled an American tour with Vanilla Fudge. He called the upset promoters and talked them into a new group. Then Grant had to convince the members of Led Zeppelin to leave their warm homes on Christmas Eve for parts unknown. “I was 20 years old, and Christmas away from home for the English is the end of the world,” singer Robert Plant explained. But Led Zeppelin packed its bags, ready to test America’s waters. The band’s flight from London departed for the Los Angeles airport on December 23. Plant was incredulous. The morning after Christmas, Led Zeppelin headed back to LAX, boarding a TWA flight for Denver. That night they met up with bass player John Paul Jones, who had arrived on a separate flight from New Jersey, where he and his wife had spent the holidays. They assembled downtown at the Auditorium Arena and began their first U.S. tour. They paced nervously, biting their fingernails. Plant and drummer John Bonham tried to stay calm backstage. “Colorado was so beautiful and gentle compared to L.A., but I was petrified by the hugeness of the venue,” Plant said. After Led Zeppelin sprinted from the stage, Plant reached into a cardboard container filled with spareribs from a local restaurant. “I couldn’t believe that the promoter could charge for food backstage,” he laughed. Denver was only the beginning. Led Zeppelin spent the next year and a half on the road, including six separate tours of American that featured the band as headliners on most nights, earning its fortune and a reputation for bawdy mayhem and excess. Between 1969 and 1980, the Zep released nine multi-million-selling albums and reigned as the No. 1 hard-rock band in the world.